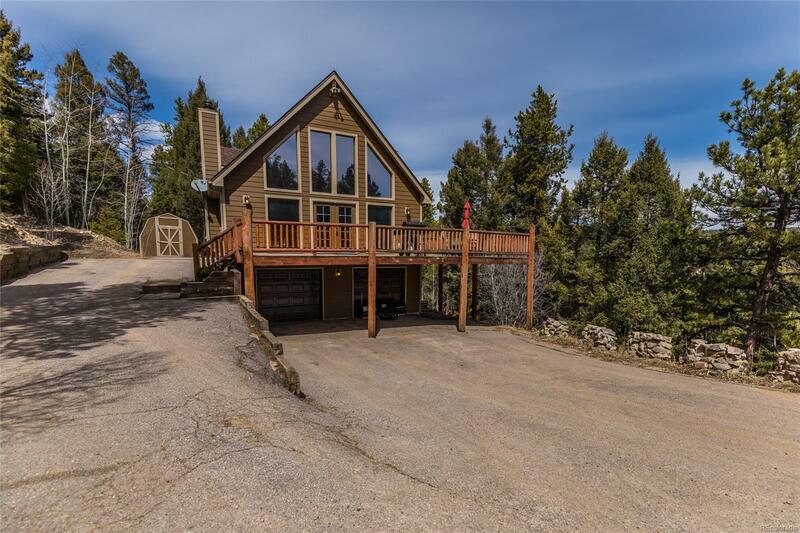 Completely remodeled & updated home nestled in the trees w/great southern exposure, private and secluded. Open floor plan with a wall of glass, cozy living space w/fireplace, dining, and a spacious kitchen. The kitchen has Granite Counters, Alder Cabinets, SS Appliances, and Gas Stove top. Custom work throughout the house includes reclaimed barn wood accents, knotty pine doors, and T & G pine. The huge master suite is found upstairs with a loft sitting area, remodeled bath with custom tile work. The main level has two bedrooms and a custom full bath. The lower level has a large family room and access to the large garage. Do not miss the large deck and newer hot tub. New siding, new interior and exterior paint, new flooring throughout, and much more. Also plenty of flat useable ground and two good size sheds for storage.